Mobile technology represents a sea change of enormous proportions. One that’s reshaping business for today’s building products distributors in three key ways. In a recent Point To Point research study of building products distributors, respondents noted the increasing importance of e-commerce. 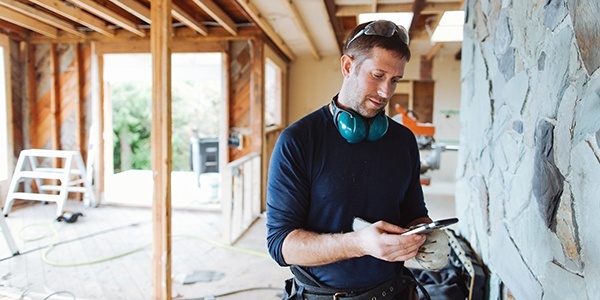 Like consumers everywhere, today’s contractors will make purchases when and where it’s convenient for them. Increasingly, that means online, and often, on mobile. How you can help: Educate distributors on how to upgrade their mobile presence and capability. Help them see the value of having a responsive website that displays properly on smartphones and tablets and makes it easier and faster for contractors to find what they want. The more functional a site is when accessed via a mobile device, the more “with it” a distributor seems, building their brand image. Today, e-commerce is removing the face-time from the sales experience. As a result, building products distributors are struggling to maintain face-to-face relationships with every single customer. When orders were taken in-person or via the phone, high touch contractor relationships were a given; now contractor relationships take effort. This is challenging for today’s time-crunched distributors who, bombarded by both online and offline interactions, are already spread too thin. How you can help: Supply distributors with mobile-friendly training and application videos that can be viewed by contractors at the job site. Alternately, brands can train distributors on the how-to’s of turnkey video production, enabling them to create their own videos that are easily accessible on mobile devices. Digital makes it possible for distributors of all sizes and locations to compete on a more even playing field. This increases competition, and not just from other distributors. Mobile technology brings the retail world into play, blurring the line between the channels and facilitating sales erosion from the big box stores. The good news? More distributors are investing in mobile. According to our study, distributors are clearly recognizing the importance of mobile technology for their business. How you can help: Supplying distributors with targeted and relevant content for contractors that can be shared on the distributor’s site, via social media or even text message will position the distributor as a solid partner to contractors. Given that virtually any function can be accomplished on a mobile device—from conducting research to watching installation videos to purchasing products—today’s distributors need a customer-focused presence with integrated messaging both online and offline. Brands can help distributors achieve this by working with them to use mobile to better sell, interact with customers, and compete. Manufacturers who empower distributors with the tools and resources needed to help them maximize mobile technology more easily and effectively will build distributor loyalty and sales.